Bring enough water to fill the French press to a boil. For a 17-oz press, you'll need about 350 grams (12 ounces). 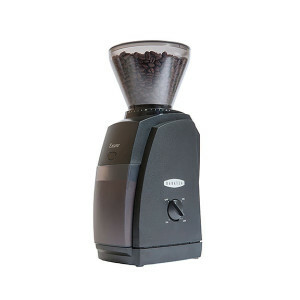 While the water is heating, grind your coffee. French press coffee calls for a coarse, even grind. We recommend starting with a 1:12 coffee-to-water ratio. 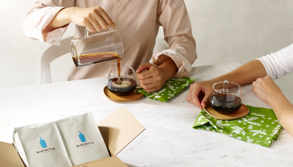 If you're using 350 grams of water, you’ll want 30 grams of coffee. 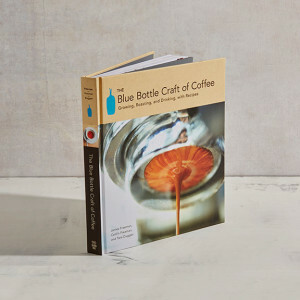 To start, gently pour twice the amount of water than you have coffee onto your grounds. For example, if you have 30 grams of coffee, you’ll want to start with 60 grams of water. Pour the remaining water and place the lid gently on top of the grounds. Don’t plunge just yet. Let the coffee steep for four minutes. Four. Don’t guess. Gently remove your French press from the scale and place it on your counter. Press the filter down. If it’s hard to press, that means your grind is too fine; if the plunger “thunks” immediately down to the floor, it means your grind is too coarse. The sweet spot, pressure-wise, is 15–20 pounds. Not sure what this feels like? Try it out on your bathroom scale. 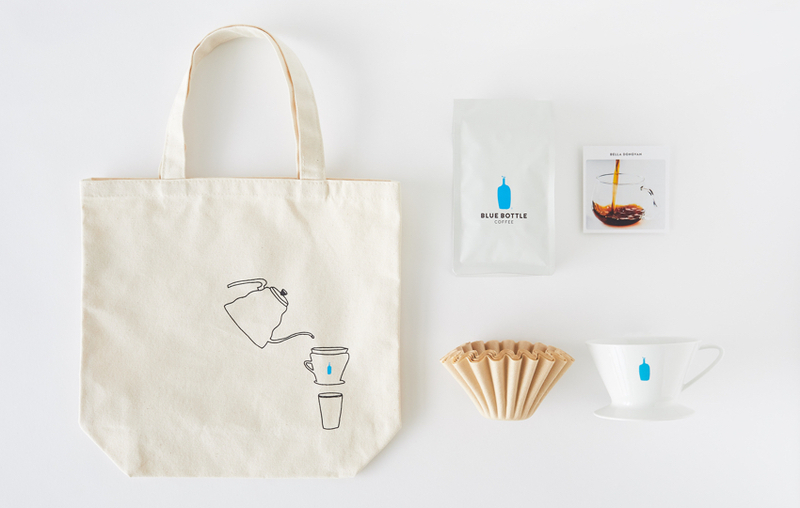 Empty the contents of your Blue Bottle Perfectly Ground envelope into the French press. Pour the hot water gently over the grounds. Stir the coffee with a bamboo paddle or chopstick to ensure the grounds are evenly saturated. Place the lid gently on top of the press. Don’t plunge just yet. 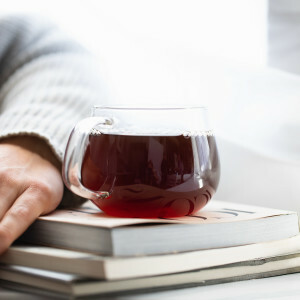 Pause and let the coffee steep for four minutes. Four. Don’t guess. Plunge the filter down through the coffee. The sweet spot is 15–20 pounds of pressure. Not sure what this feels like? Try it out on your bathroom scale. We have.